Hi everyone, for many YA fiction fans, August is the month that sees annually a new instalment of The Lorien Legacies released. This year the series was meant to come to an end with The Fate of Ten, but author James Frey revealed already in October 2014 that he will publish at least two more books to give the epic finale the room it deserves. After all, fans have seen the Garde fight and lose for more than 4 books – which felt a bit long and repetitive, so ideally it is their turn to fight back. 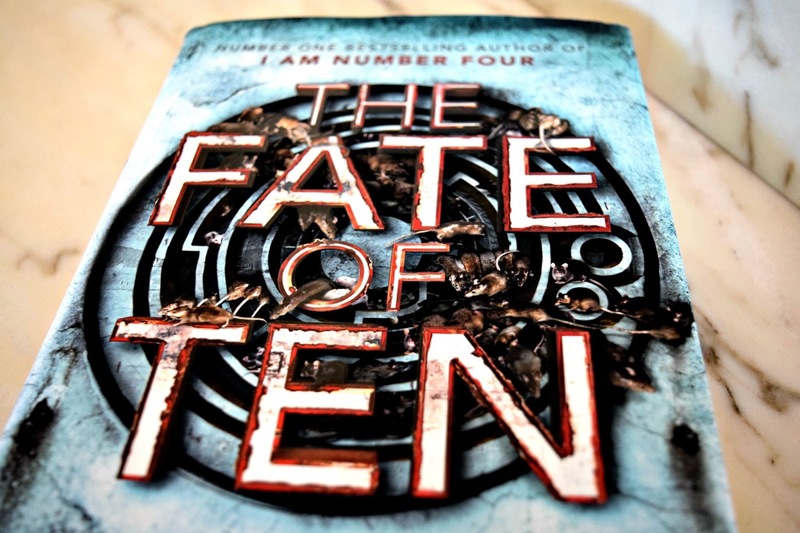 The Fate of Ten* just landed on my desk earlier this week and I started reading straight away. Here comes my spoiler-free review of The Fate of Ten. Like previous novels, this one starts where the last one ended. Four and Nine fight in New York alongside Sam, who develops a legacy. The others are somewhere deep in the Mexican jungle to discover the secret of the Loric sanctuary. As usual, the point of view shifts with every chapter and the reader gets the perspectives of Four and Six only which reminded me of The Power of Six. Overall I liked this a lot, as limiting the PoV to two characters provided a tighter narrative. Also, both characters were introduced in I Am Number Four as the main protagonists, an aspect which got a bit lost after The Power of Six. It was great to be ‘back’ with those characters and accompany them on their journey. I still feel though that the Garde has wasted a lot of potential and time and should have stopped procrastinating after The Fall of Five. As much as I enjoy the series, I’d love to see it coming to an end (and I hope it will be a masterpiece after all I’ve been through as a reader). With regards to writing, The Fate of Ten follows the familiar easy-to-read style which allows fluent reading. Changing PoV and many action scenes push the storyline forward. Luckily this time the book is slightly longer than The Revenge of Seven which I found worthy of the series. The fact that the series will be finalised in 2016 offers room for speculations about the title. As I’ve said in my Revenge of Seven review, I can see the number 'eight' playing a role. The question is who are those selected eight? Four, Five, Six, Seven, Nine, Ten, Adam, Sam? We’ll find out in August 2016. And now I can hear you ask 'Will there be life after The Lorien Legacies?' - Yes there is. James Frey has already released a new addictive YA series called 'Endgame'. You can find a review of Endgame on my blog and I also met James Frey on his promo tour for Endgame. The second book Sky Key will be released in October. The Fate of Ten, published in the UK by Penguin, is officially out on Tuesday 1st September and retails at £14.99. Have you read the books? If so, which one is your favourite? 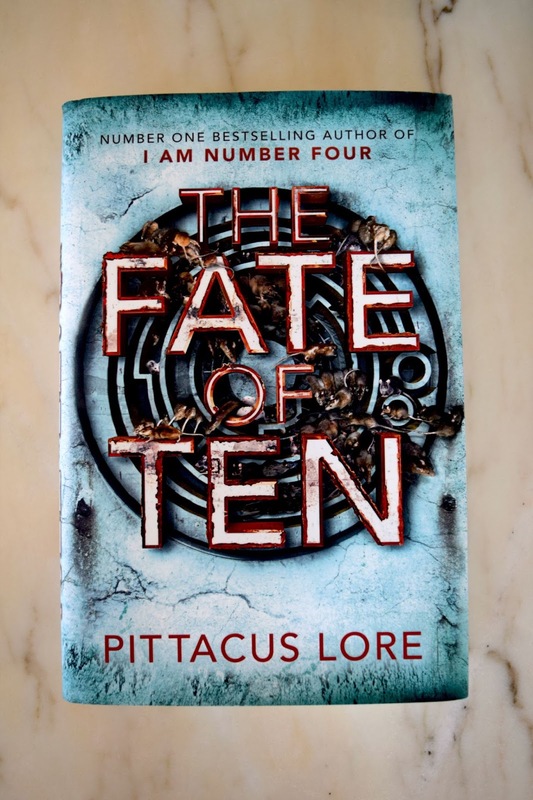 Are you excited to read the next chapter of the Lorien Legacies next week? Do you think the ending will be worth of the series? Fashion: What Can I Wear To Work?